This electric pet nail grinder and trim their nails nice, easy and painlessly. Now you can painlessly and easily trim your pets nails anywhere without the pain caused by traditional nail clippers. With On/Off switch, easy to use. Size: 250ml. COLLECTIONS & LOTS. Orders will be fulfilled by our own warehouse or a 3rd party supplier at our discretion. We promise to do everything possible to put things right for you. TEXTBOOKS & EDUCATION. For pet owners, every little care is necessary for their lovely pets. This item is a speed regulating nail grinder with two gears, which is designed and manufactued especially for pets of all sizes. Features:【Perfect for all dog and cat breeds】 - Trimming and shaping pet nails as well as smoothing rough nails on small, up to medium, dogs, cats or birds. Please cut the nail with nail clipper first if your dog's nails are very thick.【Eliminates the need for claw clippers】 - files claws quickly and effectively and reduces the risk of clipping the claws too short. No more cutting into the quick or rough edges that occur with nail clipping.【Lightweight and powerful】- Powerful and durable mains operation makes this grinder suitable for both home and professional grooming use, lightweight, well balanced design with soft touch grip insert ensure comfort and ease of use.【Easy, quick and stress-free way】 - safer and more effective than n.
Portable Dog Grooming Table with Castors. The table top with an anti-skid rubber surface is soft and safe for you pets. The adjustable grooming noose restrains pets safely and features an improved locking clasp. Electric Pet Nail Grinder is safer and more effective than nail clipper to trim pet nails, reducing the risk of clipping the claws too short or hurt pets. Gently touch the surface of the nail grinder with eraser or cloth to remove the nail powder on the nail surface. 【Versatile tool for pet lovers】： This deshedding tool can remove dogs cats shedding hair, groom tangled hair softly, reduce dander and allergens in the air, keeping your house clean. 【Pet bath brush】: With Five-finger design, use this flexible grooming mitts to bathe the pets more clean, efficiently and quickly while allows you to groom places like tail, legs or face. Large Cat Kitten Cardboard Corrugated Scratcher Scratching Pad Sofa Bed. Baby Bath Toy Set Creative Spray Station Bathtub Toy Bath Fun Toy for Baby Kids. Blooming Lotus Flower Seven Petals Bath Tub Mat Baby Infant Safety Security. Due to the light and screen difference, the item's color may be slightly different from the pictures. Color : Blanc. La fonction de | | Multipurpose | | nettoyage des animaux. Material : TPR,Silica gel. Easy to Use: The comb will form static electricity during the cleaning process, and it will be easy to clean the pets falling Hair. Multi-function:Our Brush not only can remove pet hair, but also can clean clothes and carpets. 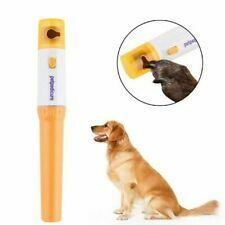 1 x Electric Pet Dogs Cats Grooming Comb. Pain free pet grooming tool that combs through tangles and knots safely and with ease. The ultimate pet grooming tool that safely combs and cuts tangles and knots. Features: 100% brand new and high quality. Soft, Comfortable and wrinkle resistant. Stretchable Material - Stretch that recovers quickly This chair covers with stretched can fit most home dining chairs Easily washable and ironing.. Widely used for home, Kitchen, hotel, office, wedding,paries,celebrations or other special event. Specifications: . 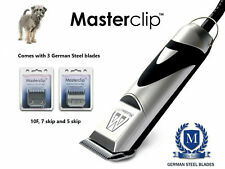 Now you can painlessly and easily trim your pets nails anywhere without the pain caused by traditional nail clippers. With On/Off switch, easy to use. Color: Yellow & white. Due to the difference between different monitors, the picture may not reflect the actual color of the item. Single Size: Bowknot: L W: 4 3cm(1.57 1.18in). Size 1: 10 x Pet hair bow. Size 2: 20 x Pet hair bow. Due to the difference between different monitors, the picture may not reflect the actual color of the item. The other accessories in the pictures will not be included. Due to the difference between different monitors, the picture may not reflect the actual color of the item. We will be very glad to reply you. Single Size: Bowknot: L W: 4 3cm(1.57 1.18in). Size 1: 10 x Pet hair bow. 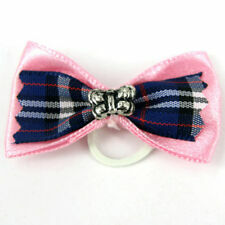 Size 2: 20 x Pet hair bow. We will respond As Soon As Possible. 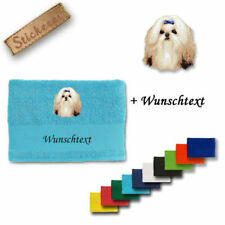 Application: Use for doll hair, pet grooming, making dog bows, making dog ribbons, etc. Material: Rubber. Due to the difference between different monitors, the picture may not reflect the actual color of the item. 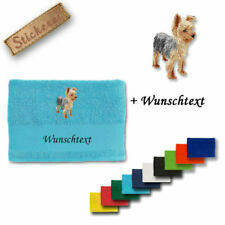 Application: Use for doll hair, pet grooming, making dog bows, making dog ribbons, etc. Material: Rubber. Application: Use for doll hair, pet grooming, making dog bows, making dog ribbons, etc. Material: Rubber. Color: Multicolor. We will respond As Soon As Possible. The adjustable grooming loop restrains pets safely and features an improved locking slide clasp. This professional hydraulic grooming table is versatile and brings comfort to any grooming situation. With 1 adjustable grooming noose. The table top with an anti-skid rubber surface is soft and safe for you pets. The adjustable grooming noose restrains pets safely and features an improved locking clasp. 1 x Woof Washer. The device has with it a handle attached to the main ring, through which dog shampoo can be dispensed. 360 degree design that allows for a ring of water to jet gently around your dog for 360 degrees of clean. The gloves is suitable for skittish cats, playful dogs or graceful horses! 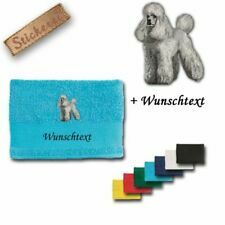 Whether your pet owns short an hard hairs or long and soft hairs, the gloves can handle them all. Compact, easily fits in your pocket, grooming caddy, tote or bag. Moreover, this dog grooming table has castors for easy transport. With castors for easy transport. The professional adjustable grooming table enables you to perfectly position your furry friend for bathing, trimming, drying, grooming, and so on. Features: Brand Unbranded Color as shown Material ABS Size 137.5*35*25mm MPN Does Not Apply EAN Does not apply. The perfect duo: Animology Dogs Body Shampoo 250ml & Animology Top Dog Conditioner 250ml. Infused with the Animology 'signature scent'. Size: 250ml. pH balanced for a dog's skin. Conditioners and vitamins improve the health, strength and condition of the coat.